I'm linking up today with Shay and Erika on their "Stranded With..." series. 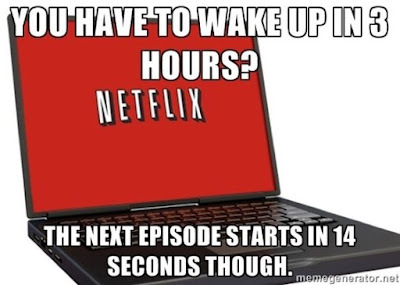 Today is all about Netflix. And since I know ALL about Netflix, I thought it was a good opportunity for a quick post! 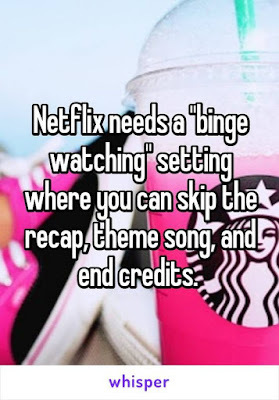 This month's topic is which three Netflix series I would take if I were stranded on a deserted island. Eddie and I have highly considered turning off our cable. I'd love to hear your experience. I almost ONLY watch Netflix these days. My most recent Netflix binges have been...Gilmore Girls, Fuller House, and Blue Bloods. Of the three, Blue Bloods is my very favorite. I'm caught up to the most current season on Netflix and anxiously awaiting a new one to come out. Gilmore Girls is one I started last summer and wanted to finish in preparation for the new reboot. I do enjoy the show, but hooooooly cow I was ready for it to be OVER. I binge watched Fuller House in ONE night. I had a child who had thrown up (only once, but I was still on high alert) the night it was posted on Netflix so I stayed up and watched the whole thing! I loved it, but it is NOT for kids which is so unfortunate to me! Eddie has been binge-watching The Ranch. He loves it! If I had to pick three I hadn't seen all the way through to go with me onto the island I would choose X-Files, Lost, and Once Upon a Time. And bonus: Parks and Recreation. (Because I couldn't just choose three...) I'm halfway through with X-Files, a show I cannot believe I watched on Sunday nights in middle school. It isn't bad, but it's scary! Whoa! I've enjoyed catching up with Scully and Mulder. Lost is one I've started but never finished and, hello, I'm stranded. They might have some survival tips. Once Upon a Time and Parks and Rec are both on my to-watch list and would keep me entertained! HART OF DIXIE for sure! !